Car auctions are good places to buy used cars that you can flip for profit. Many people have created an at-home business of buying and selling cars. You don't need a huge capital outlay to start this business or even great mechanical knowledge, although, naturally, this would give you an advantage. However, if you are interested enough in cars, you will generally pick up a grasp of what goes wrong mechanically with cars along the way. There are plenty of books to help you learn all about this, too. Buying a cheap car is actually fairly easy. You just need know what to look for. Car auctions are my favorite place to find cars, as they are fast and the cars can be very cheap. They also often offer repossessions or dealer trade-ins. What I look out for at car auctions are dirty-looking cars. Everyone avoids a dirty car because they think it's an old wreck. It sure might be, but it could also have belonged to an older person who left it outside under the trees and couldn't be bothered to clean it. I bought a ten-year-old Volvo a few months ago for $250 at auction. I was the only bidder even though there was another hundred or more possible bidders in the room. The Volvo was sitting amongst the other cars, but had a flat rear tire and its dark blue paint looked incredibly dull, flat, and tired. When I opened the passenger door, the inside was full of old McDonald's wrappers and a ton of other rubbish, but there wasn't any smell. It turned out to be a repossession. The dealer must have taken one look at it and been so disgusted that he sent it straight to the auction. I started the car up and went through my checklist (see below). I couldn't find any fault with it. I couldn't drive it because of the flat tire, although I could have had it changed, but I knew that if this car was cheap enough, it was going to turn a great profit. One final check was wetting one of my fingers and running it across the paint. The shine came back. So, I got the Volvo towed to my garage at home and got to work. First, I cleaned the inside right out, vacuumed, and cleaned it thoroughly. I then started on the outside, which I had to buff and polish. Then I cleaned the engine, door shuts, boot, rims, and tires. I had a fantastic-looking car. 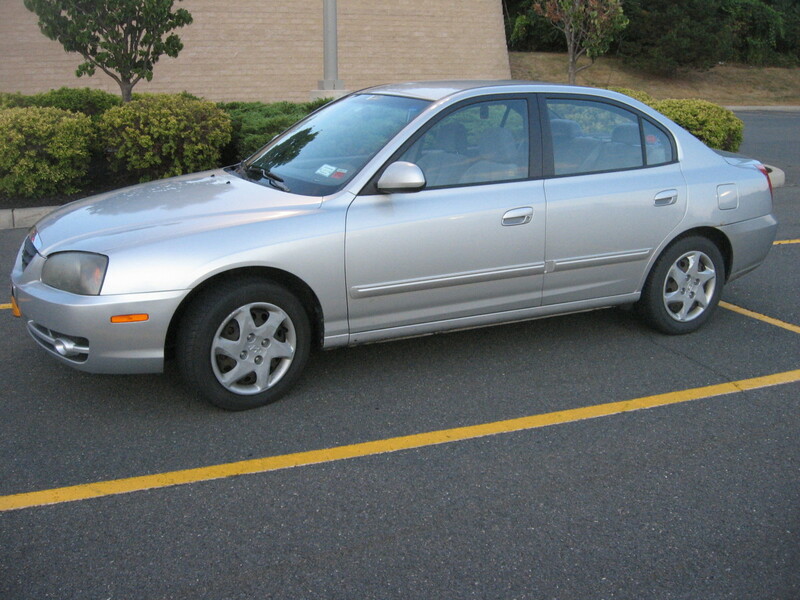 Volvos at this age sell for between $6,000 and $8,000. I can never be bothered to hold out for the higher range, so I sold it quickly for $6,500 by advertising in our local newspaper. A middle-aged couple bought it and were totally happy. They wanted a Volvo for its safety record and reliability. Frankly I didn't really care. I just wanted to get on with the next one. Some great buys can be had from all of these sources. My preference is local newspapers and supermarket boards however, because I can easily contact the seller and start negotiating. Also, it's easy once you've met the person face-to-face to really work out the reason for the sale. Are they elderly and can't drive it any longer? Do they need the money? I very rarely buy on the spot unless it's a bargain. What I tend to do is go away and say I'll think about it. I leave my number with them and hope they'll call me first and then I'll know their desperation level. If I don't hear back from them, I back three days later. If the car's gone, I don't care. Rule one here is don't get emotionally involved. Remember you don't want a car. This is just a money-making tool. There's a bit of luck and a lot of pushiness involved in buying a cheap car through these sources. If you don't like the idea of confronting and negotiating with someone, then stick with car auctions. 1. Check the oil level. If it low, start the engine and check the exhaust for oily smoke. This is a bad sign. 2. Check the oil color. Remove the cap and rev the engine. If the water bubbles up with air, it's got a blown head gasket. Let the car idle for 20 minutes and check the water temperature gauge. If it reaches the 3/4 mark, you need to check a few things (see below). 5. Check water hoses and engine belts. If they need replacing, ask the owner to deduct that cost from the sale price. 6. Listen to the engine. There shouldn't be any loud ticking or stuttering. 7. Is it leaking oil? Reverse the car and look at the ground where it was before. Oil drips mean expensive repair. Look for any delay in going into drive and for smooth reverse-to-drive. On an open road, check for play in the steering wheel. On the open road, try coming to a fast stop. It should stop in a straight line. Look under the car and check the trunk floor. Do I Need a Dealer's License to Buy and Sell Cars? But there are two ways to get around this restriction. Sell your first three in your name. After that, ask a family member or very good friend if you can buy and sell cars in their name. They should get part of the profit. Do this only as an intermediately step, though. After you’ve bought and sold six or seven cars, then you’ll have a nice little business on your hands. I can tell you from my own experience that when you involve others, they’ll want a piece of the pie. So, you might have started off offering them 20% of the profit to your sister, but after she sees a few successful, easy sales go through, she’ll want 50% for sure. So, once you've sold six or seven cars and built up your confidence, become a licensed dealer. This doesn’t cost a massive amount of money and is fairly straight forward. It gives you independence to operate freely and legally to buy and sell as many cars as you like throughout the year. 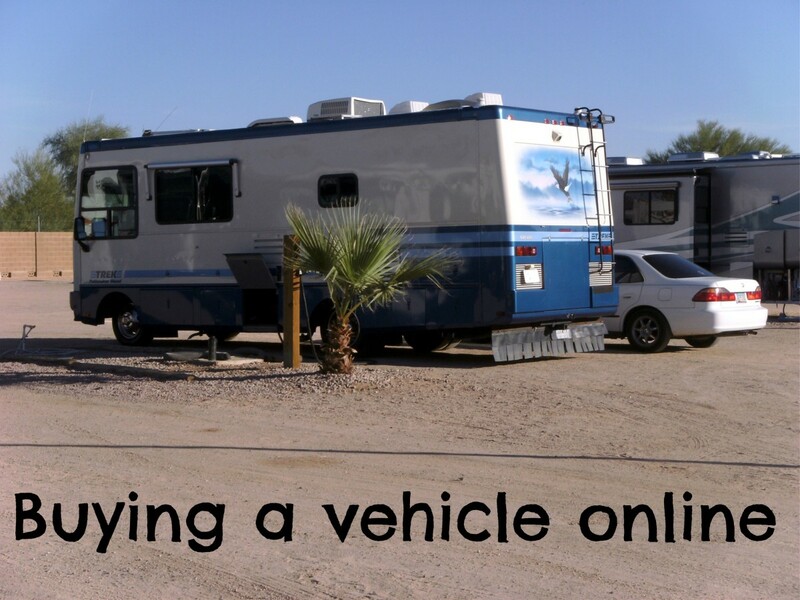 You can still operate from your home or wherever you like, and you don’t have any overhead like a general car dealer does. What you do is buy into a dealer organization on a Co-Op basis. In fact there are some real benefits. It will cost you about $500 per month, but for that you get an LLC (Limited Liability Company) plus insurance (if your car is stolen or prospective buyer crashes it). You also get a dealer plate (if you happened to buy an unlicensed car, then this plate gives you the right to legally travel on the road with it until registered). Plus you get an auction pass to attend the Dealer Only Auctions. 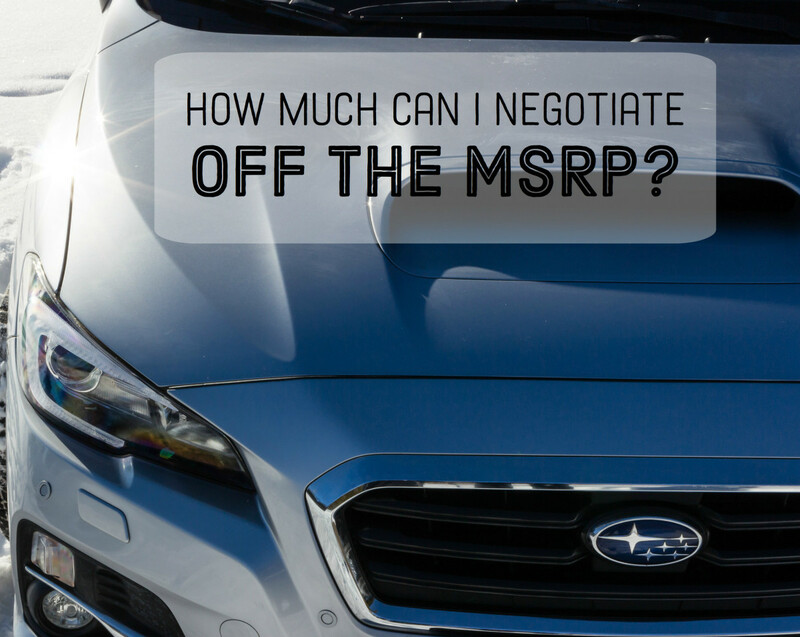 How Much Should I Spend on a Car I Plan to Sell? I would suggest that the first time out, you set yourself a budget of $1,000 to $1,500. Try to make a smaller profit of $500 to $1,000. This will give you lots of experience and will not be a huge risk. If it goes badly due to a mechanical issue that you didn't pick up, as long as you've bought the car cheaply enough you should at least be able to get your money back. Should I Insure a Car I Plan to Sell? Yes, I always take out insurance. It might only be for a couple of weeks, so it won't be expensive. It's best to cover your asset. You just don't know what's around the corner. What if a test driver has an accident. Shop around for cheap insurance quotes. If it's low, don't be too worried until you start the engine. When the car's warm, get the owner or a friend of yours to operate the accelerator peddle. Go around the back of the car and monitor the exhaust while the accelerator operator stabs the accelerator from idle to full about eight times. They should hold the accelerator about halfway (mid revs) twice or three times. What you are watching for is oily smoke. If the exhaust is blowing excessive smoke out while under power, just say thanks to the owner and walk away. This means it's burning oil through the piston rings. It's an old worn out engine. Don't buy. The lighter color it is, the better. If it's dark, that may just mean it hasn't being changed in some time. That can still be fine. If the oil has some water in it, walk away and don't buy. This means it's got a blown head gasket and is going to cost a fortune to repair. Take the cap off the radiator or cooling tank and get someone to rev the car in bursts. If water bubbles up with air, walk away and don't buy. It's got a blown head gasket. Buying a cheap car is one thing, but it's still got to be trouble-free. Leave the car idling for 15 to 20 minutes. During this time, follow the water temperature gauge inside the car. If it gets to about 3/4 hot on the gauge, you don't necessarily have to walk away this time. If the radiator isn't bubbling with air and there isn't water in the oil, the reason for the high temperature may be something reasonably easy to fix, like a leaky hose in the engine compartment. Have a look under the engine. Be careful. Remember this is boiling water you're trying to find. If you see water dripping and you can spot where it's coming from, then this could be bargain time. You should be able to convince the owner that the engine's about to blow, so offer him a fraction of what he wants. If you don't see any drips under the engine, walk away. The problem is probably serious. The owner probably knows that and he's actually trying to get the better of you. With the engine off and cooled down, go over all the water hoses and engine belts. Have a look at their overall condition. If they all need replacing, that can be expensive and take any profit you could have made out of buying anyway. Turn the engine on and have a listen to the motor while it's idling. There shouldn't be any loud ticking noises. Get someone to rev it up halfway and listen again. Make sure it was running on all cylinders while being revved. If it was stuttering on the way up the revs, that could mean that one of the spark plugs or spark plug leads is failing. This isn't necessarily a bad sign. If this is the case, the owner may be selling the car cheaply because he thinks the problem is worse. At this point get a mechanic to check the problem out, if you are keen on the car. Make sure there are no horrendous oil leaks. Reverse the car out from where it normally sits, whether it be in the owner's garage or driveway. If there are lots of fresh oil drops on the concrete surface, don't buy it. Oil drips can be expensive to repair. For a car with automatic transmission, turn the car on and put it into drive. See if there is any delay before it engages. Do the same for reverse. Shifting into reverse or drive should be totally smooth and instant. If there is any hesitation or the car literally jumps when you shift the lever, then it's not a great transmission. This is just a worn transmission, and depending on the hesitation time (shouldn't be longer than say one and a half seconds) the car may still be worth buying if it's cheap enough. With the engine turned on, check for play in the steering when you turn the wheel from side to side. On a test drive on the open road, test to be sure you don't have to correct the wheel all the time. The car should travel straight. While on the open road, make sure you haven't got a car riding on your tail at the time, and if the owner's next to you, give him a warning before you brake. Check how good the brakes are by coming to a fast stop. The car should stop absolutely in a straight line, especially if it's equipped with ABS brakes. If it comes to a stop on a big scary angle this can be remedied reasonably cheaply. It could be still worth buying. 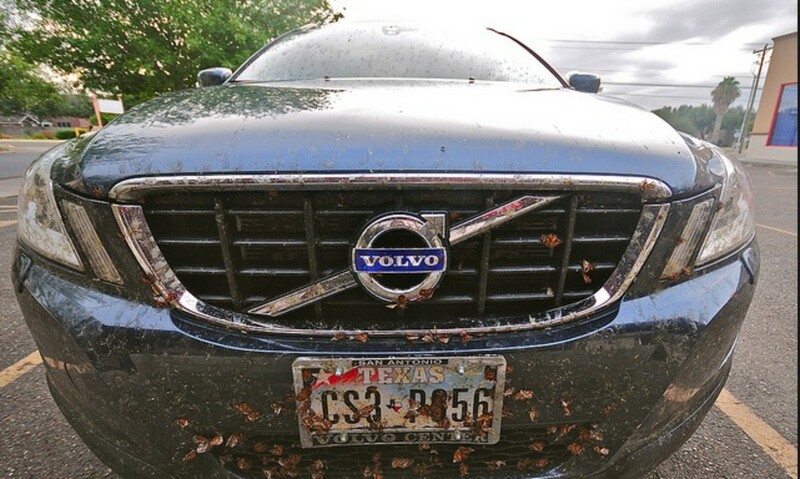 If you live in a dry state, rust shouldn't be an issue. In a state that sees all four seasons, you'll want to check this out carefully. Some states put salt on the road to combat snow and you bet that this rots a car quicker than anything else. Have a good look underneath and around the inner guards on the car. The trunk floor can be a target, so check that and the car sills. The sills run down the sides of the car beneath the doors. If they have rust, don't buy the car. Rust can get into all sorts of areas that you won't even see, like the bulkhead. A car with rusted sills may be rotting from the inside out. 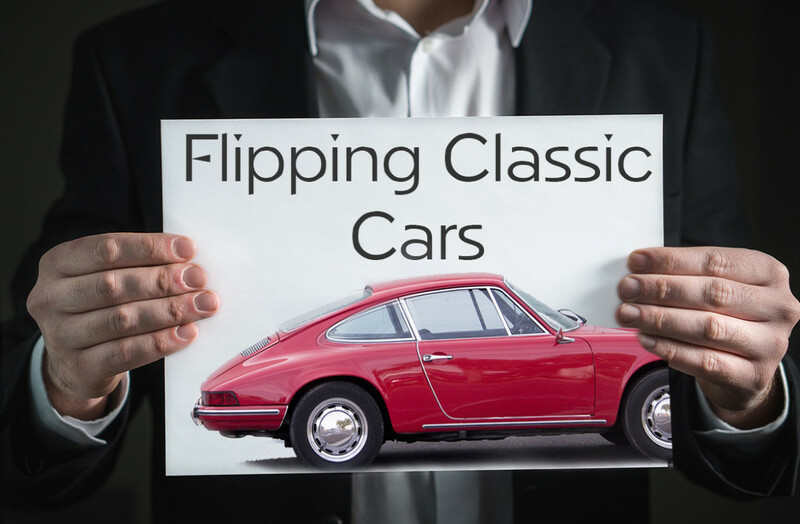 Great E-book here that goes into car flipping in a lot more depth. I found it useful. And it's only $1.80! So these are my tips for buying cheap cars and hopefully developing a nice home business from it. Use the comment section if you've got any questions. Best of luck. Do you title a purchased car in your name first? Or can you just give the buyer the original signed title you got from the auction? No, you should title it in your name if you want to create a long-term business. I want to get a permit or license that will allow me to sell cars for profit, via advertising on Craigslist. Is there a license like that? You'd have to a get a dealers license, or, otherwise register them through family and friends. All states have different limits. For example in Texas you can only sell 5 a year. But have a look online for dealer licenses they're not that hard to get. I’ve seen that sometimes in auctions the cars won’t have original wheels even if it’s a new model and low miles. Why is that? Do they sell them? Are there any other parts I should check to see if it is original that they remove for resale? That's likely just a personal choice of the past owner (wheels) nothing to worry about there. Yes, they're likely to have sold them or done a trade with the wheels dealer. No, if it's a fairly new car there shouldn't be any other swap outs. If it's a performance car it may have been "chipped" which means the computer has been tampered with to give it greater horsepower. Generally, the past owner is very proud of that and will advertise it as such. Stay clear of those cars. They're likely to have been thrashed. Is it a good idea to purchase a car then replace old parts with brand new material in order to sell it? No, I'd be looking for good second-hand parts at less than half the cost of new ones. Do you update the inspection of the car before selling? No, I personally do not. Great point Dvaughn. I absolutely agree. Should go to an auction without bidding at least six times to see what's going on and why first. Thanks for that advice which I've neglected to mention! Thanks Jerry. You gave some good advise here. One thing I would stress is to not get caught up in the bidding at an auction and make sure you understand that process. I've seen people bid alot more than they thought they were bidding. Amir unless you've got expertise in repairing them or have a relative/friend that you could do some kind of 50/50 arrangement with, I wouldn't go near them. Without experience they're expensive to repair and unless you know what you're looking at re the damage you might be buying a can of worms. Thank you for the very informative and thorough article. How do you feel about purchasing damaged vehicles from auctions? What would you consider and what would you avoid? you have just answered all my questions, its now up to me to test this theory and see how it works in the real world by attending auctions to try and buy the cheapest car possible and working on it. Great hub. I love the checklist. It's very thorough. A few of the notes were new to me. You have got my juices up to attend a car auction. Off to see what is offered in my Arizona area. Thanks. Jerry , did you mention check for prior collision or body work ? Carfax history report ? 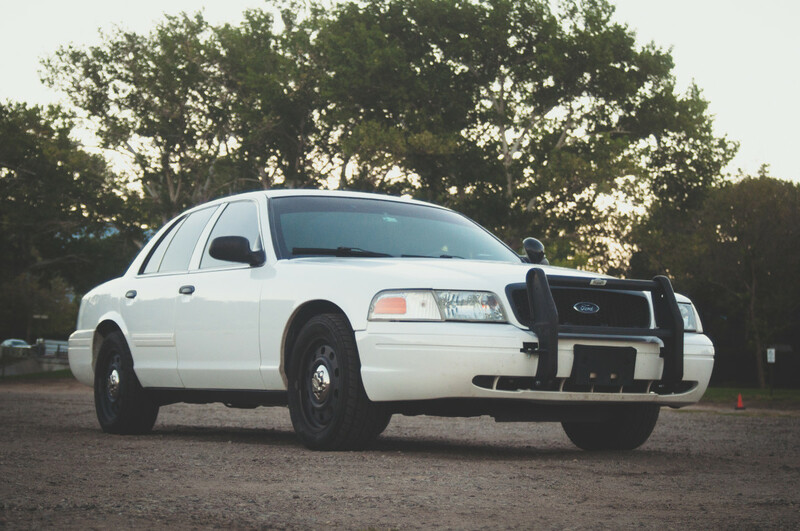 What type of license is required to buy from an auction in Texas? And if buying from an auction does the requirement of a surety bond for license still something that has to be met. Example let say i just want to buy a car from the auction and sell it to someone after i fix it up and this would be my first car. What requirements would i have to meet in order to do something like that. Hi Roger, Best if you spent about 3 months observing the prices, taking notes, watching others and you'll soon see what's cheap and what isn't and what's popular and what isn't. I've read your, article and found it very informative, I am calling from the Uk but the principle must work all over the world, Perhaps you can help, you said you could see the Volvo was cheap and there was a profit to be had. how would I go about knowing what was cheap and what was not in an auction and how would you go about this? AxleAddict..Sounds good. GUNNA Try this.. Lot's of dealer auctions are open to the public as well, otherwise yes, you'll need a dealer license. do i need a licence to buy from the auction ? I was wondering why you have to put the title in your name and not leave it in the previous owners name if you plan on flipping the car. I believe it's called an open title, that's what dealers do. This way you don't have the expense of the title transfer and sales tax and the time it takes to transfer a title. If you buy from a dealer you can't do that but from a private sale you can. 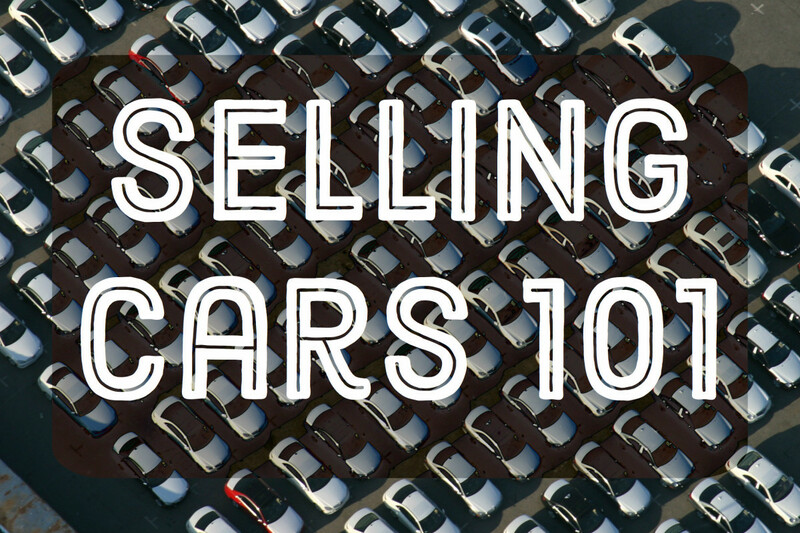 Then you don't have to worry about selling a certain amount of cars too. I'm not an expert but just like cars as a hobby and usually sell them within say a year of buying them without driving them very much. Most of the times I do a title transfer so I can get plates. I lost my job about 11 months ago and thought this would be a good way to make some extra money, since I like doing minor work on cars anyway. I usually end up losing money though because I invest to much or paid to much for them. I'm selling a car right now for quite a bit more than I paid for it, but it's a rare vehicle so I'll see if it works out. Yes and no. If I've got say three cars at any one time I park them near the house but only have the one I'm selling up my driveway. If they think you're flipping cars you'll lose their trust straight away. Jusdeep - I'd be looking for an everyday car to begin with. Something that a person uses just for transport and going from A to B with. Think about a Toyota Corolla or Honda Civic. Top mileage maybe 80k as long as it has a good service history. You'll have to hang on in there Yevgenly. Audi's are nice cars but not understood by your average buyer who trust Japanese cars better for going to A to B.
Hi Mr. Fisher. I have buying and selling cars in mind. My question is what type of information would the DMV want if you wanted to test and obtain a dealers license. I'm sorry I don't know anything about buying cars in Nigeria, or, how you could check if they're stolen. Dealers have to have a much greater margin than $1500. They'll have to more than likely offer a discount plus a guarantee so yes they will bypass what seems a great buy. But nothing wrong with you buying a Sebring for that money and adding say $800 for a fast sale. Great article! Thank you very much Jerry. I have been interested in doing this for a while because I like cars. Your article helped very much, really appreciated. Hey, Jerry. It says you wrote a book on selling used cars, what's the name of the book. The article was really good, do we need more information than that? Hi Piet - Yes I treat it like any business and pay taxes. If you buy well and check thoroughly refunds are unnecessary. If it's a mechanical problem that's not serious I'll fix it. If it's serious, I'll refund but if it's just a change of mind - no refund. Do you pay tax for your business? And how do you deal with people who request refunds because of not being satisfied after using you cars for a couple of days? Hi Yoko - best to go for more run of the mill popular cars than uncommon cars. is there any particular make and model that i should be more lean towards to buy? What type of make and model sell the most, does that matter? Your article is very helpful for me to start my new business and thank you very much for educating me. And also this article gave me lot of encourage to start my business. very useful info. Some of the tips were no brainers but I did learn several new things so well done, thank you. Risky, both financially and safety wise as a investment. I tend to buy cars for female friends or family members who are down on their luck. I am not rich enough to buy everyone a new car (I only like new cars) but I grew up poor on a farm and have very solid mechanical skills. I just bought my one female friend a 2008 Dodge Caliber for under $800 dollars (blew my mind). It had some major issues, one being the radiator leaked and it had failed emmisions. I spent about $2,000 fixing it up, doing most of the work myself on the weekends (the list of what I did to that car for $2,000 is impressive). I have to say, that thing drives like a champ. So for $2,800 dollars plus fees and title, I got her a great driving car, got rewarded myself (you know what I mean) and the relief of not having to drive over to her house and fix her old buster every other month. Year and a half and no problems. I would like to buy in United state and sell in Nigeria because am based in Nigeria. I don't know how possible it will be for me to buy cars from US without coming there because I don't have a visa to the state? Do you have any tips regarding high mileage? Or experiences having to do with car fax reports? What's your opinion on auctions that are open to the public? Hi there - The first car I bought was off an estate. I was lucky that they didn't know the value of it but also had so much other stuff to sell that they didn't really care. Hey Jerry, I was wondering where did you purchase first car? Or how did you go about finding you first car to flip? I know you said that actions are you favorite, but that's when you are licensed. I just decided to jump into this with about 7k. Trying to figure out my first move. Basically I avoid trouble as much as I can so yes I do stay away from rebuilt cars but not necessarily high milage cars. Japanese cars can do a hefty milage if they're well looked after without problems, but I do stay away from high mileage city cars. Stop/start all the time just isn't good for a car. No you're quite right, you don't have to use a broker if you've got a GDN through autoincome but this is just if you're doing it part time to avoid their fees. 1) Is mileage a consideration for you, as in, do you tend to stay away from cars with really high mileage, or does it matter? 2) Do you stay away from cars showing accidents on the Carfax, salvage cars, rebuilt titles, etc.? 3) Lastly, Carlos asked about the GDN license, but isn't that what you would get by signing up with www.autoincome.com or the like? Is the broker option if you do not want to sign up to become a dealer and pay monthly, thereby paying a broker per car buy transaction? Or is a broker also necessary to use in addition to a service provider like autoincome.com ? Great stuff here. I am looking to start my own dealership and would love to message you with some questions. Do you do private message or email? Thanks! Thank you so much Jerry I have been interested in this for a while. Your article helped so much! Yes you should have the title in your name before selling. Yes you should register the car in your current state. This may be a stupid question, do you have to get the title put into your name from auction before you sell it? Awesome article, thanks for the share! I have a quick question. I recently bought an out of state car from an auction and have a 30 days temp tags on it but will be selling it within this period in my state. The title has my current state address; do I need to get the car registered in my current state and get the license plates or is it okay to sell the car without this process? Also, if I can bypass this process then how can I just pay taxes for my purchase? Hi Will - Just renew. You said you insure for a couple of weeks. What happens if you don't make the sale before then ? Is it true you need a GDN to get into a car auction??? 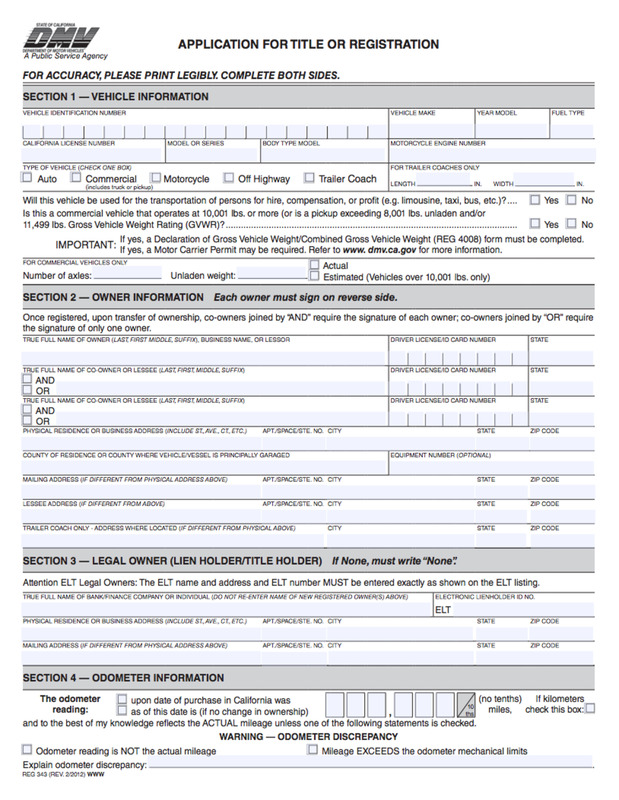 In the States under the DMV, or, Department of Motor Vehicles, the law is generally only three. You’d have to find out what it is in your particular State. But there’s two ways to get around this. The first, and this is definitely the way you’ll want to start is to sell your first three, then with either your mother or father or brother or sister or very good friend, buy and sell them under their name for part of the profit. Use this only as an intermediately step though. After you’ve bought and sold six or seven cars, then you’ll have a nice little business on your hands and I can tell you by my own experience that when you involve others, you’ll bring out the greed in anyone when they see you making money and relaxing in your new business they’ll want a piece of the pie. So, you might have started off offering 20% of the profit to your sister and then after she sees a few successful easy sales go through, she’ll want 50% for sure. So, just use the first six or seven cars to build your confidence up and get a handle on how all this works. Then become a Licensed Dealer. This doesn’t cost a massive amount of money and is fairly straight forward. It gives you independence to operate freely and legally buy and sell as many cars as you like throughout the year. So, you still operate from your home or wherever you like and you don’t need any overheads like a general Dealer does. What you do is buy into a dealer organization on a Co-Op basis. In fact there’s some real benefits. It will cost you about $500 per month, but for that you get an LLC (Limited Liability Company) plus insurance (that’s if your car is stolen, or, one of your test drive buyers crashes it). You also get a dealer plate (if you happened to buy an unlicensed car then this plate gives you the right to legally travel on the road with it until registered). Plus an auction pass. An auction pass is for the Dealer Only Auctions. You still have to pay as you normally would for title fees. It takes about two to three weeks to set up. The guys in charge of all this and we’ll get to them shortly organize all the paperwork overnight for the transaction and coordinate with the DMV but you will get charged $100 for this. They also file a 1099 on your behalf to the IRS, so they’re basically doing all your accountancy work for you too but each time you sell a car, make sure you keep 30% in a savings account for when that’s due with the IRS. On the other hand, if you have to spend any money on the car for repairs, tires, petrol, car detailing costs, you can claim all these expenses back against the profit you make. There are more if you take a look through Google but these are the two with the biggest reputation. Personally I use easyautoservices.com and haven’t had any issues. Autoincome.com is in a lot more States and has a big reputation for great customer (dealer) service. Over to you if you want to choose any other one but if you do I wouldn’t be choosing them because of a lower price. When you become an independent dealer you’ve got a whole lot of responsibilities suddenly with the IRS and just being legal, so I don’t mind paying the $500 each month and extra for the bookwork as I know that both these companies take that part very seriously on my behalf. I go to dealer auctions. Hey jerry thanks for a great article i was wondering if you need a dealer's license for doing this? i am interested in doing the same for profit but i havent done it before. And what kind of auctions do you go to? Yes, I always take out insurance. It might only be for a couple of weeks so it's not expensive. But best to cover your asset. You just don't know what's around the corner - could be your test pilot has an accident, or, the guys at your local garage. Shop around for cheap quotes. Hi, I was just wondering if you have a dealers license when doing this sort of thing? I'm interested in doing something similar, but I'm worried about all the legal processes and insurance adding up fast and eating my profits right up. Thanks for a good read! I normally meet them in the evening or weekends. Just a convenient time for them. Once you get used to that checklist it will only take you about ten minutes at most to go through and a 15/20 minute drive will sort the rest out. Where do you usually meet the person when going to look at the car? And how long does it take for you to check everything?